A few mem­bers of the Ashan­ti staff, drawn before a wed­ding. 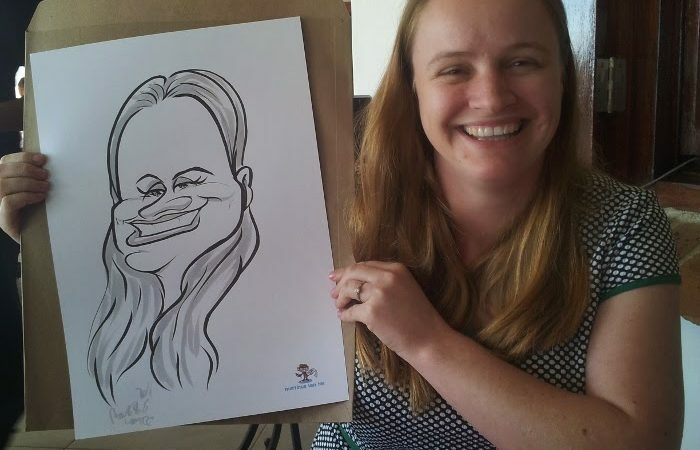 Caricature portraits for PEP, Lemoenkloof Paarl. 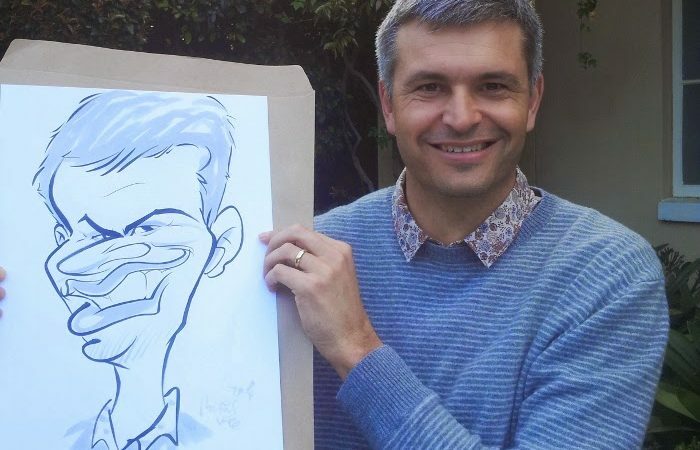 Just a hand­ful of car­i­ca­tures drawn for PEP at the love­ly Lemoen­kloof venue in the heart of Paarl. 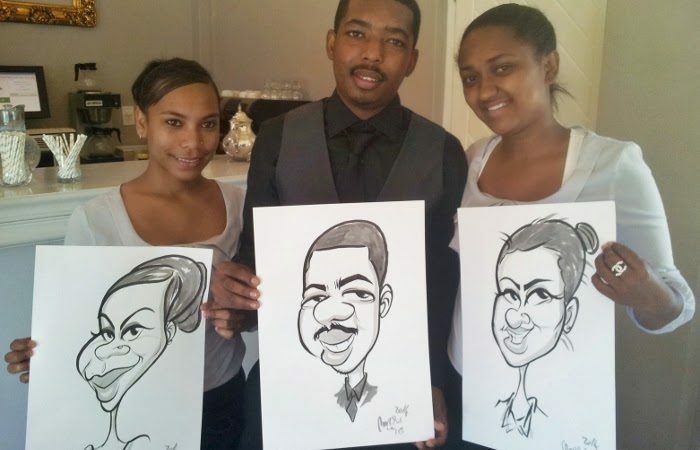 I attend­ed Mariska and Fanie’s wed­ding at Ashan­ti Estate in Paarl. The venue over­looks a gor­geous farm dam and it was a love­ly place to be work­ing. I sketched 120 car­i­ca­tures in under 6 hours that evening, and below are just a few snaps I man­aged to take. 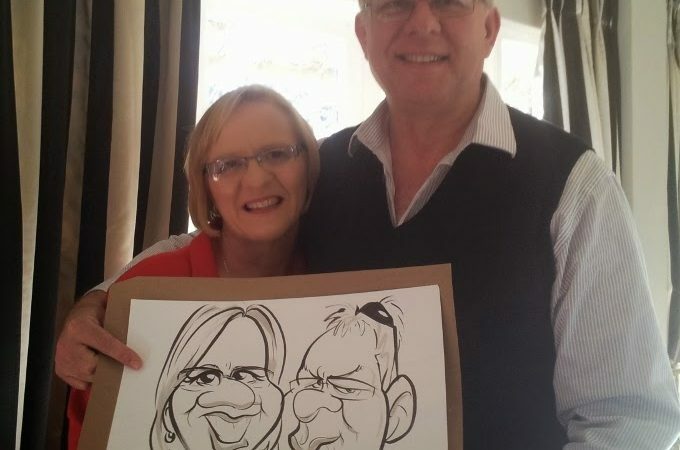 Some of the car­i­ca­tures drawn at La Masse­ria on the R44 between Som­er­set West and Stel­len­bosch. The atmos­phere was won­der­ful, as the host ser­e­nad­ed the din­ers with Ital­ian tunes, backed by live accor­dion music.